In Australia and New Zealand, Friands are in cafes everywhere. 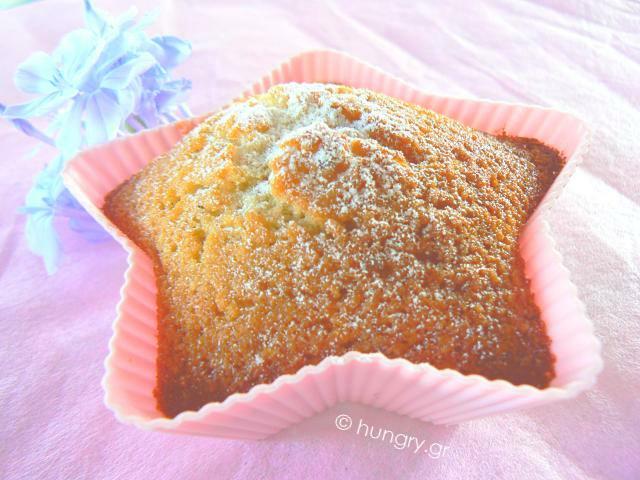 They are similar to muffins in that they are composed of a bottom, or "stump," and a rounded top. A birds-eye view of a friand reveals an oval, rather than circular, shape. 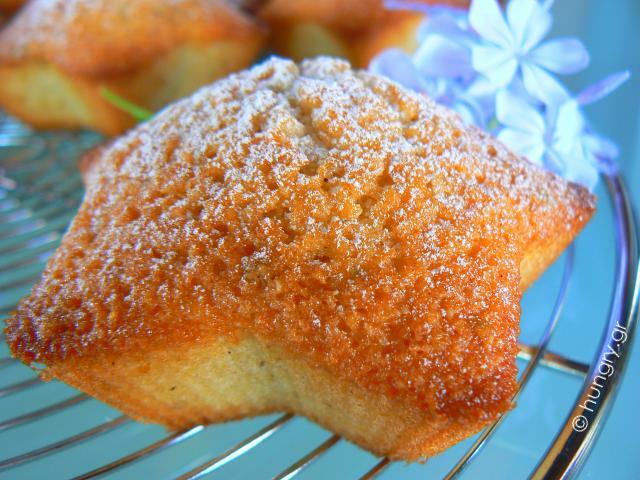 Friands are typically made from ground almonds, butter, sugar, egg whites and flour. They usually have a special flavor such as blueberries, figs, apricots, chocolate or citrus. They taste and feel similar to madelines, which take their place in American cafes. 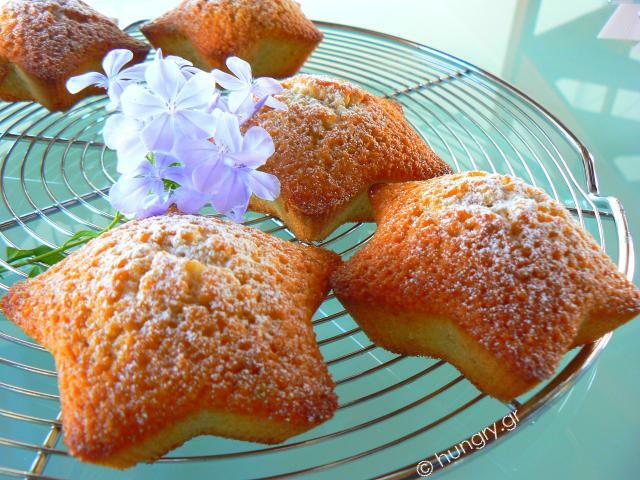 Friands, which originally come from French cuisine, are also known as Financier. 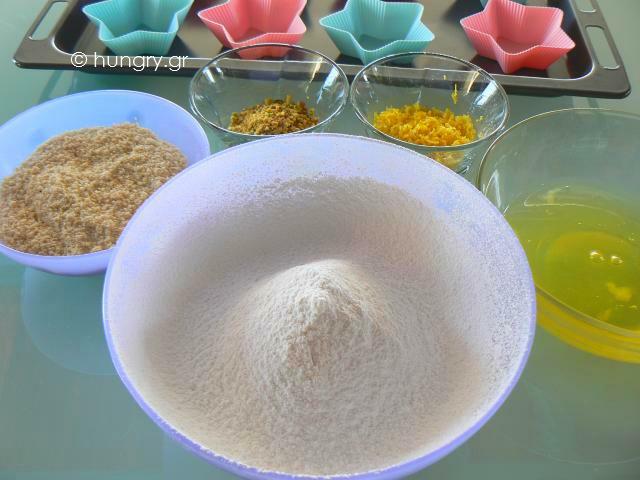 In a medium bowl, sift the icing sugar, flour and baking powder. In another bowl, separate the whites from the yolks. 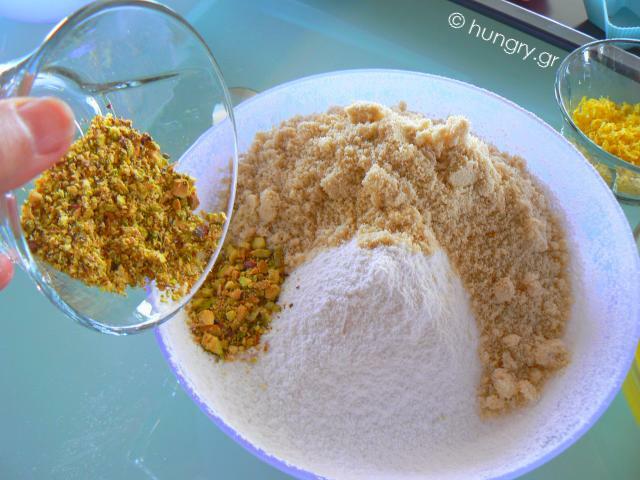 In the bowl mix the flour, add the almonds and crushed pistachios. 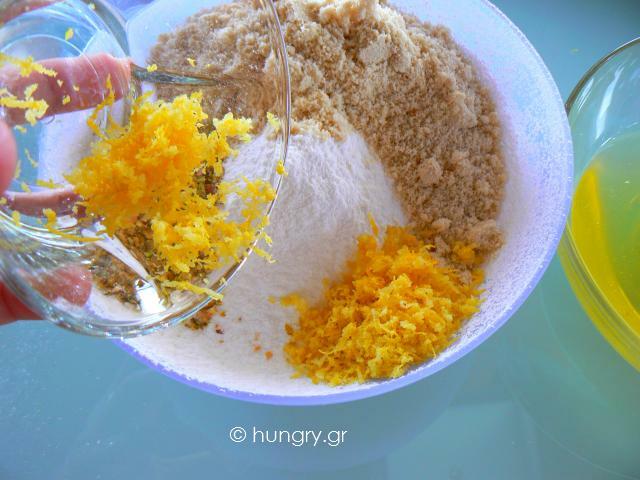 Continue adding the lemon zest. Melt the butter and put it into the mixture. 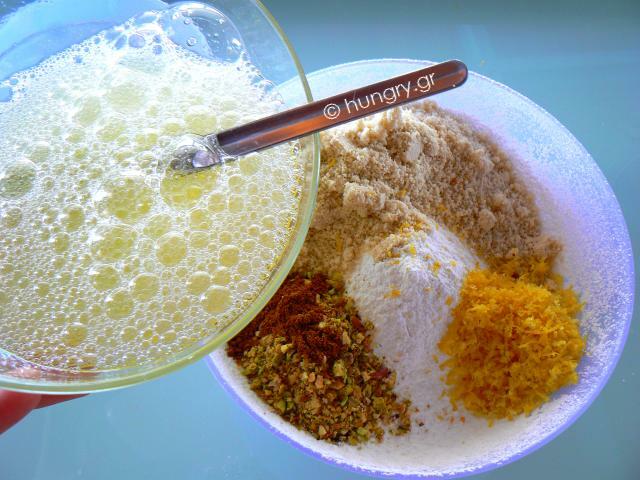 Beat the egg whites lightly with a fork, just to lather and add them to the mix. Stir gently until completely combined. Fill each friand hole ¾ full. Bake at 180°C/ 350°F/ Gas Mark 4, for 30΄ - 35΄. Remove from the oven and leave on a rack to cool completely, then turn out and dust with some icing sugar. 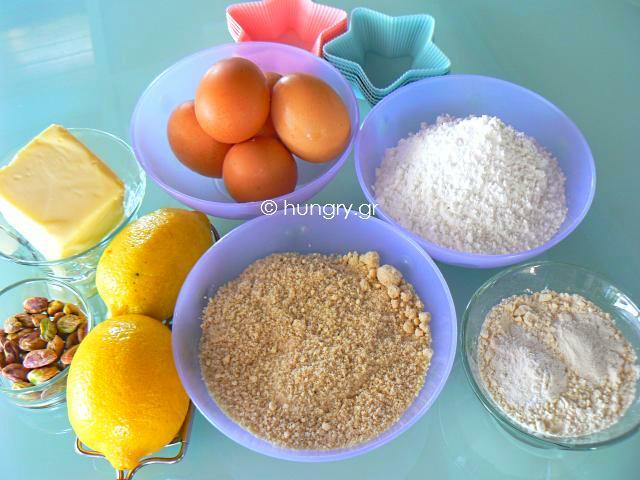 We can use the cases of muffins, after being buttered and sprinkle lightly with flour. 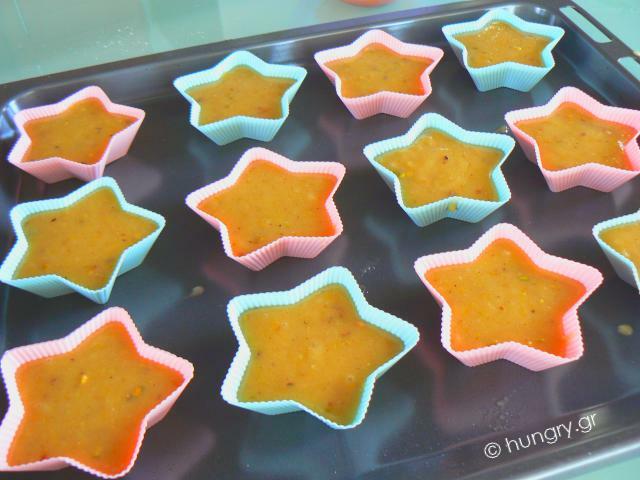 If you have silicon forms for baking, use them. It is easier to use. Easy, fast and simple. What other than muffins! Small and fluffy for a delicious bite with the characteristic taste of grated coconut. 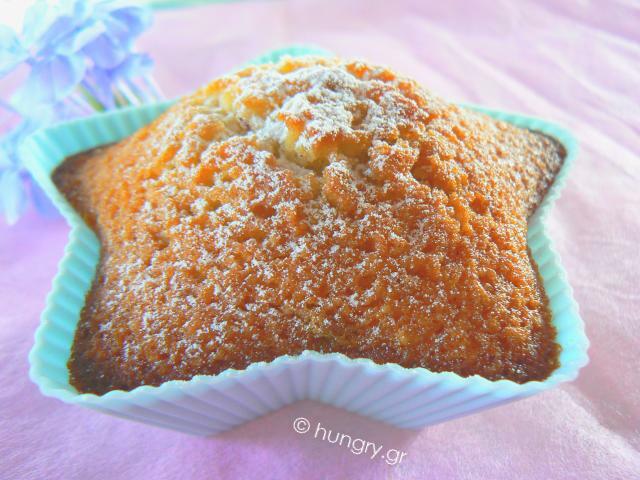 Muffins! Small, fluffy and aromatic little muffins with chocolate chips and a topping of sweet cherries!